Saab releases 9-1 teaser image | What Car? 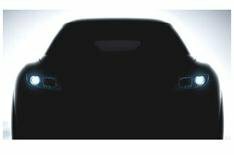 This teaser image shows the Saab 9-1 concept car, which is expected to form the basis of the company's entry-level model when it goes on sale in 2010. It has been designed as a rival to the Audi A3, BMW 1 Series and Volvo C30, and it is expected to share parts with the next-generation Vauxhall Astra, albeit with tailored styling and tuning. The concept car will be exhibited at next month's Geneva motor show.